Lien holders are persons or companies who hold a vested interest in a piece of real estate, but who are not listed as owners. All lien holders must file legal liens at the Registry of Deeds in the correct town or city. Once a lien is attached to a piece of property, the holder of that lien has certain rights over the piece of real estate. 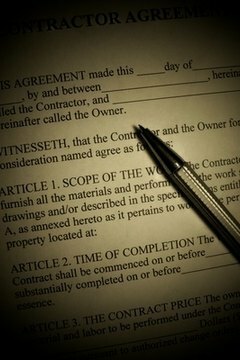 It is the homeowner's responsibility to understand these rights. The most common lien holders are mortgage companies. When a homeowner finances a new home, a mortgage is placed as a lien on the title to the home. The original loan used to purchase a home is placed in the first lien position. If the consumer obtains a second mortgage or HELOC (home equity line of credit), this loan will be placed in second position. Any additional liens are placed on the title in the order in which they are added. When a homeowner sells a property (or when the home is seized in foreclosure), the lien holders are paid through the proceeds of the sale in the order in which they appear on the title. Lien holders in the lowest position on the title run the risk of not getting paid. Some lien holders place liens on properties in an attempt to collect delinquent debts. These lien holders are often credit card companies, old mortgage companies, property tax collectors and the Internal Revenue Service. This prevents the homeowner from selling the home and collecting all of the equity in the home. Liens from the federal and municipal government can be filed almost as soon as a taxpayer becomes delinquent, but private companies (like lending institutions) often need a court order to place a lien on a piece of property. These liens, however, are only paid when all liens in higher positions (like a first mortgage) are satisfied. A lien holder cannot place himself into an ownership position on the title. He can only claim a vested interest in the property. A lien holder also cannot force a homeowner to sell a piece of property in order to satisfy the debt. However, when the federal government is a lien holder, it can take other action to collect on the delinquent debt (usually taxes). These methods include wage garnishment and bank account levies. Homeowners with federal tax liens are in an extremely precarious position and must make paying federal liens a priority. Jenkins, Duncan. "What Are the Rights of a Lien Holder?" , https://legalbeagle.com/6363818-rights-lien-holder.html. Accessed 19 April 2019.